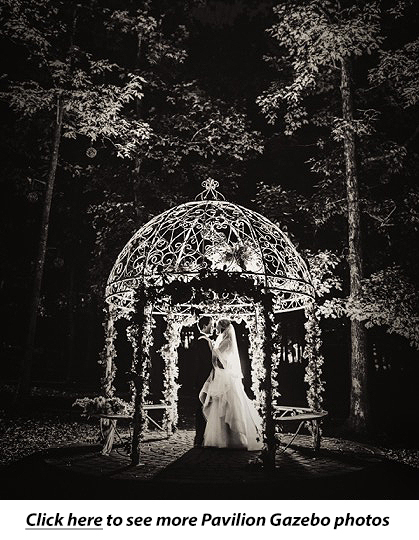 Imagine your next wedding or special event at Raleigh's best kept secret, a graciously rustic banquet facility built with the original stones from Fayetteville Street and timbers salvaged from Sherman's March through Raleigh during the civil war. 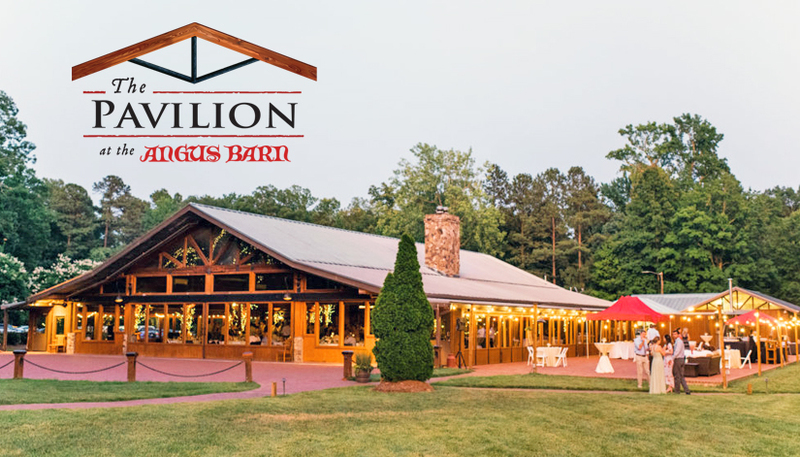 The Pavilion is located just off I-540 minutes from the RDU Airport in the heart of William B. Umstead State Park. Enjoy panoramic water views of the Angus Barn lake’s natural beauty and the delicious food and award-winning hospitality of The Angus Barn and Five Star awarded & Iron Chef America winner Walter Royal. The Pavilion can accomodate from 70-400 people. All inclusive wedding options from ceremony to reception with dining choices including station, plated, cocktail style service and a full range on in-house amenities with tables & decor, chairs, linen, china, hi-fi audio visual equipment, staging and service. The Pavilion is also the perfect spot for holiday parties, corporate events, fundraisers or most any type of event. For more information complete the form below or call 919-278-2713.